Blend well all the ingredients, make smooth deep. 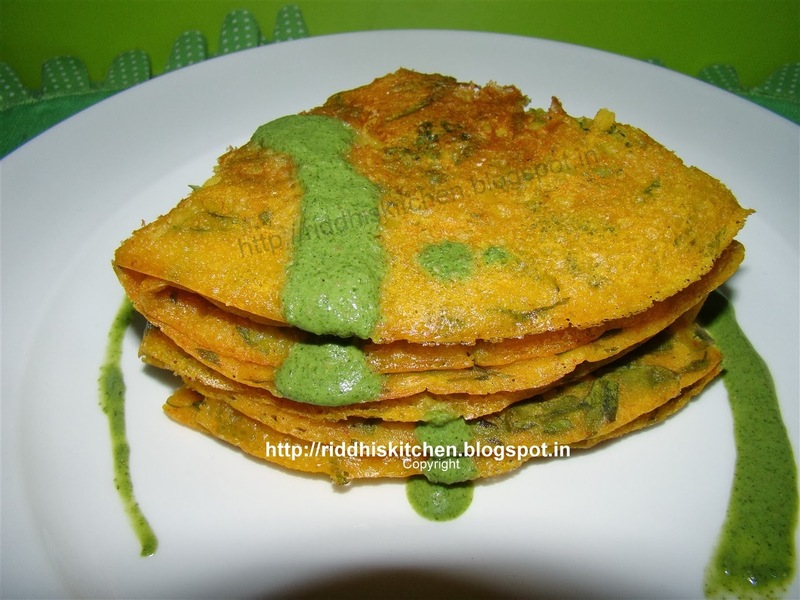 Take one bowl, add grated cucumber, chopped palak (spinach), salt, pepper powder, red chilli powder, curd, rice flour, turmeric powder, water, mix well and make pouring consistency batter. keep aside for 15 minutes. Heat pan, pour ladleful batter, spread it well, apply some oil, let it cook for 2 to 3 minutes or till underside lightly brown, turn it, apply some oil and cook for another 2 to 3 minutes. Serve hot with minty deep.